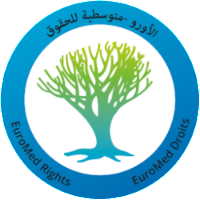 E uromed Rights announced on 15 November 2018 that representatives from over 150 civil society organisations, the majority of which coming from the South of the Mediterranean region, will gather in Brussels on November 20-21 for the First Majalat Civic Forum in order to debate four regional themes: Good Governance; Security and Countering Violence; Migration; Economic Development and Social Dialogue. After its launch in Jordan last September, Majalat will move to the heart of the European Union in order to initiate a three-year cycle of regional dialogues, in the presence of the Commissioner at the European Neighbourhood Policy and Enlargement Negotiations, Johannes Hahn. The project has been coordinated and set up by six partner organisations: Arab NGO Network for Development (ANND), Arab Trade Union Confederation (ATUC), EuroMed Network France (REF), EuroMed Rights, Forum for Alternatives Morocco (FMAS) and SOLIDAR. Assist the Head of Office in administrative tasks, as appropriate. Availability for meetings early in the morning or late in the afternoon once or twice a week, upon coordination with the Head of Office. The position also requires very occasional international travel. Please send a letter of motivation and a CV to emma@frontlinedefenders.org by midnight on Monday 10 July 2017. Interviews are planned to take place on 24-25th July. Only shortlisted candidates will be contacted – thank you for your understanding. This 5 minute video of the ProtectDefenders.eu 2016 Annual Beneficiaries’ Meeting, held in Brussels on the 29 November 2016 is now available on Your Tube. The motto was “Defending Human Rights is not a crime – #DefendersNotCriminals”. Since the launch of the project in October 2015, ProtectDefenders.eu has witnessed an increased criminalisation of defenders worldwide in reprisal to the conduct of legitimate human rights activities. ProtectDefenders.eu held its meeting in Brussels under the motto “Defenders are not criminals” and brought together dozens of human rights defenders at risk supported by the EU mechanism during its first year of implementation, together with prominent representatives of NGOs, European institutions and Representatives of International and Regional Protection Mechanisms, including the United Nations Special Rapporteur on the situation of human rights defenders, Michel Forst. Participating defenders, coming from more than 20 countries such as Burundi, Honduras, Egypt, Bangladesh or the Russian Federation, shared their experiences of resilience in often dangerous and challenging situations and debated on the most effective strategies to counter criminalisation and pursue their work. This meeting has also emphasised the main achievements and highlights of the first year of ProtectDefenders.eu. In the first twelve months, the EU Mechanism has provided more than 330 emergency grants to defenders at high risk, facilitating a rapid response to their legal, medical, security or emergency relocation needs in pressing circumstances. At the same time, ProtectDefenders.eu has successfully started and run a temporary relocation programme, disbursing more than 700,000 € in support of 74 temporary relocations in favour of 150 individuals, with the collaboration of host institutions worldwide and in the framework of the EU Temporary Relocation Platform. The Project has also provided institutional and operational support to grassroots organisations, allocating more than 300,000 € through 32 grants. 1,300 defenders worldwide were trained to improve their security and protection in difficult contexts. Finally, ProtectDefenders.eu has expanded its advocacy and outreach dimension, by conducting fact-finding missions and monitoring trials against defenders particularly in difficult countries, as well as carrying out initiatives to assist and connect isolated and vulnerable defenders throughout the world. ProtectDefenders.eu has coordinated more than 430 urgent alerts aimed at mobilizing the attention of concerned authorities, public and media on behalf of defenders at risk.